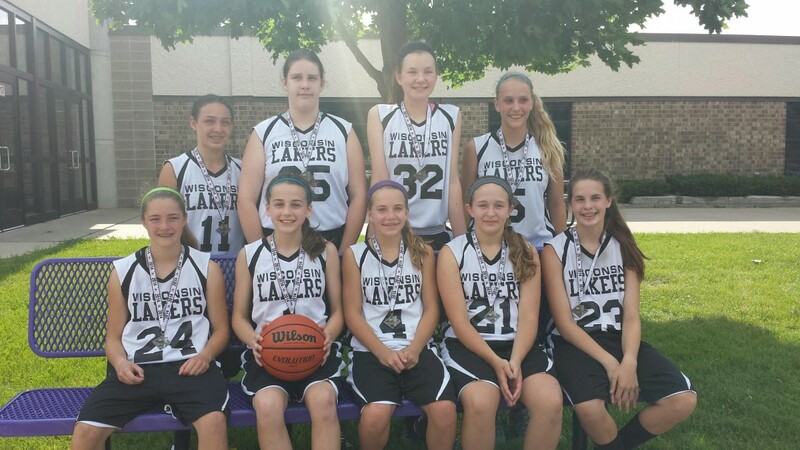 Congratulations to Wisconsin Lakers 7th Black coached by Curt Keller who went 3-0 this past weekend winning the Pride Classic. Congratulations girls! Congratulations to CJ Usadel (Sheboygan North) and Morgan Vukovich (Mukwonago) on making their college decisions on where they will not only get an education, but also play basketball. CJ Usadel recently committed to play at Lakeland College (Sheboygan) NCAA D3 and will be a Muskie in the Fall. Lakeland plays in the NACC conference. CJ is a huge addition to the program, at Sheboygan North CJ averaged 11 PPG and help the Raiders win the Fox River Classic Conference, and finished with a 24-1 record on the season. CJ has great leadership on and off the court, but in games she is a fiery competitor who is going to make an impact on the outcome of the game. CJ is a natural wing but showed how versatile she is by playing PG for her HS team all season. Her ability to get to the rack, post up, or knock down the 3 is what makes her so tough for opposing defenses. CJ was a member of the Wisconsin Lakers for 2 seasons. Morgan Vukovich recently committed to play at Carthage College (Kenosha) and will be a Lady Red in the Fall. Carthage plays in the CCIW conference, and finished the season 26-4. Carthage is regularly in the NCAA D3 National tournament and lost in the Sweet 16 this past season. Morgan a 6’1 Post helped Mukwonago make back to back state basketball tournament appearances. Morgan is a very hard worker who continues to get better, has a good back to the basket game with the ability to hit the outside shot, those skills will play well in the Lady Reds style of play. She is also a great teammate who is very supportive of her teammates, and that character is what helps set her apart. Morgan was a member of the Wisconsin Lakers for 4 seasons. The Wisconsin Lakers 2014 class now has 9 players that will be playing college basketball in the Fall.